Are you looking for that Olympic "edge"? Do you want European show experience? We offer intensive programs that get results. to discuss the program that meets your needs. It costs less in Europe to produce a competition horse than in North America. Competition costs are lower, distances are shorter. Why invest a small fortune on the American A circuit when you can develope your horse in Europe for a fraction of the cost and with less stress on the horse? We tailor development programs for your horse whether you are aiming at CSIOs or Lanakan, or producing a seasoned competitor for your child. 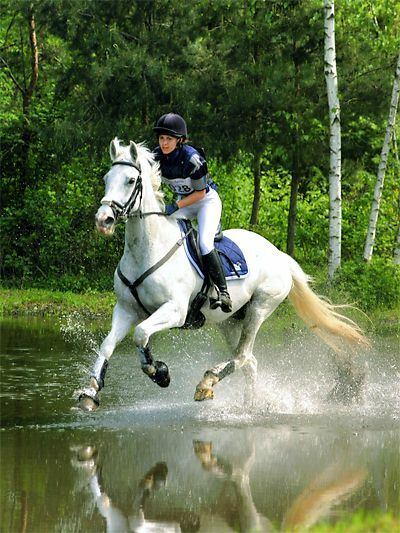 We will help you reach your goals, with the guarantee of the horse's physical and mental well-being. to arrange the best program for your horse. If you are driven to be good, if you want to know more.....we want you to achieve your goals. Joan McLaren comes to coaching riders from an unusually broad and deep experience. 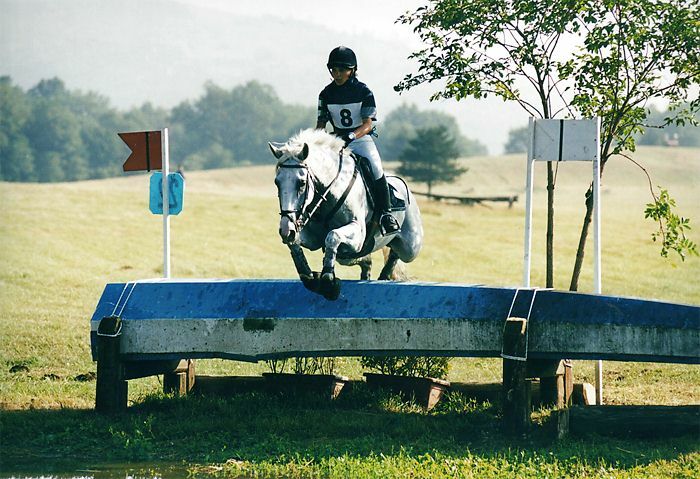 One of the youngest riders to be accepted to ride in the Olympic trials for the USET, her desire to be a better rider and to understand more about the sport led her first across the U.S. then to Europe to train. McLaren trained with Bertelan DeNemethy, coach U.S. Equestrian Show-Jumping Team; Colonel William Ringrose, Coach Irish Military International Jumping Team and Olympic Team rider; Duccio Bartalucci, Coach Italian International Jumping Team (for whom she acted as assistant trainer) and Olympic team rider; Ginny Leng Elliot, six time Badminton**** winner and three-day event Olympic gold medallist; Conrad Schumacher, U.S. Dressage Federation and Irish International Dressage team trainer and coach of Olympic Dressage Champions Ellen Bontje and Sven Rothenberger; and Hans Kraut, formerly of German cavalry and winner of AHSA International Course Designer’s Award, (and many others). 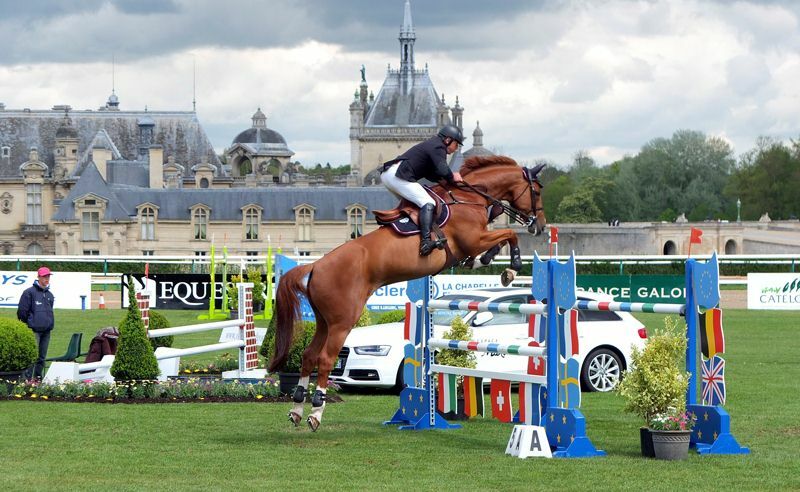 McLaren's elite experience in show-jumping, dressage and eventing internationally is unusual. It is an invaluable resource to riders she has trained in all three of those Olympic equestrian disciplines. 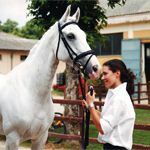 Her involvement in high performance sport in different disciplines and countries gives her a unique perspective from which she approaches sport and rider development. McLaren has been coaching olympic, junior and young riders, and involved in Equestrian Sport development since 1978. She began giving clinics in the early 1980’s on the U.S. East Coast . 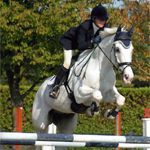 She trained riders in eventing, show-jumping and dressage and helped them plan approaches to reaching their short and long term-goals, both Olympic and National. She conducted national rating examinations and made recommendations to the National governing body on program development to produce more riders at higher levels. Eleanora Giulia Monti on Irish Sport Horse, Moonstone 2. 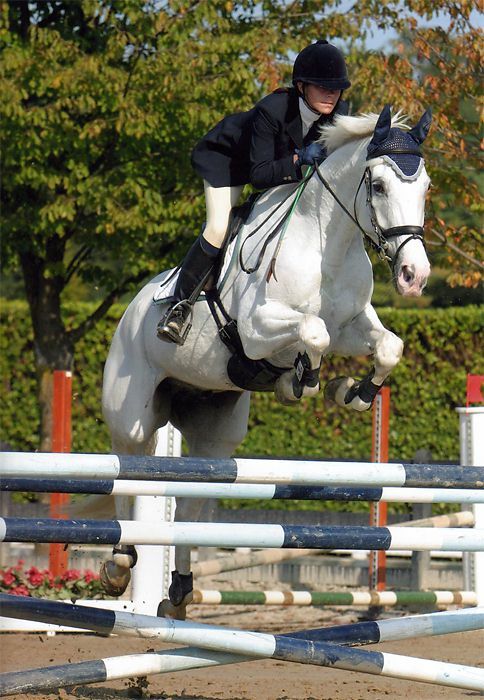 As well as many placings in Junior and Young rider Show-Jumping and Eventing competitions, the horse and rider won best combination cross-country at Junior European Championships, Pratone da Vivaro, Rome, Italy. 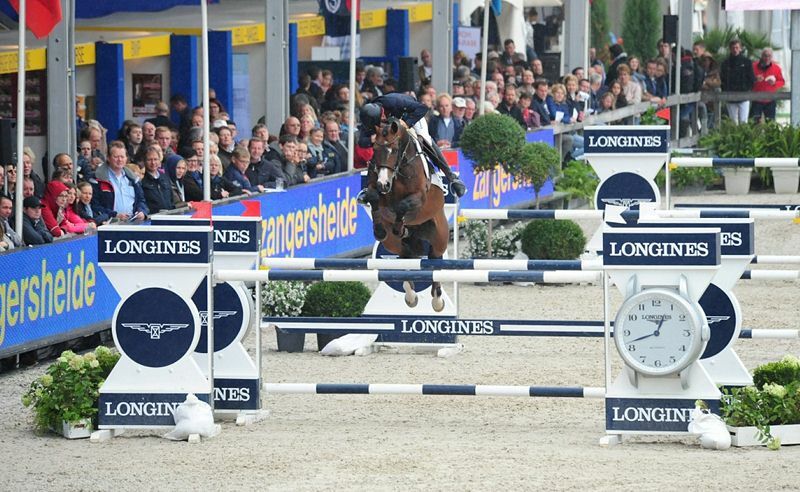 Italian Show-Jumping clinics focused on improving rider technique and horses' rideability for competition at International level (in the most rapid but correct way possible). 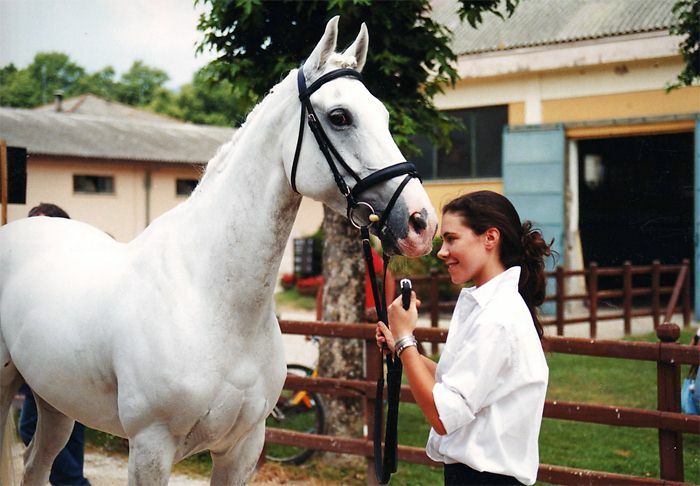 Because Italy imports large numbers of horses from Northern Europe, she found herself working with many accomplished riders who were inexperienced riding horses with breeding and character unlike their own. Horses produced in a Northern Continetal European manner (e.g. German, Dutch, French, Belgian, Danish and Swedish) presented a challenge to Italian riders (which repeats itself in other countries). In Italy, McLaren was involved in input to the Federazione Italiana Dello Sport Equestre as both a rider and an instructor. 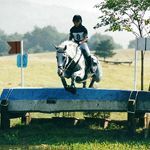 In Ireland, she has given clinics as before in all three Olympic disciplines, working with riders of varying backgrounds, competing through international level. McLaren has taught Olympic competitors, Young- Riders (18-21 year olds) and Juniors (14-17 year-olds). Her students from the U.S., Italy and Ireland have been selected for International teams in both Show-jumping and Eventing; with Italian riders placing in Young-Rider and Junior European Championships. She was short-listed to be the Irish National Trainer for the Junior and Young rider Eventing Team Squads. And she coached the Island Pony Club (Ireland) to win the Irish National Championships in both Dressage and Eventing in 2001. The club was subsequently awarded the Lillington Cup as the most successful club in Ireland. Club members qualified for international championships in U.K. in both Eventing and Dressage. McLaren was selected as one of first trainers in Ireland to participate in the Irish "Training the Trainers" program with Conrad Schumacher to develop riders and trainers working at international level. Joan McLaren and McLaren High Performance represent years of international experience and teaching ability. Training with McLaren High Performance lets that experience work for you!